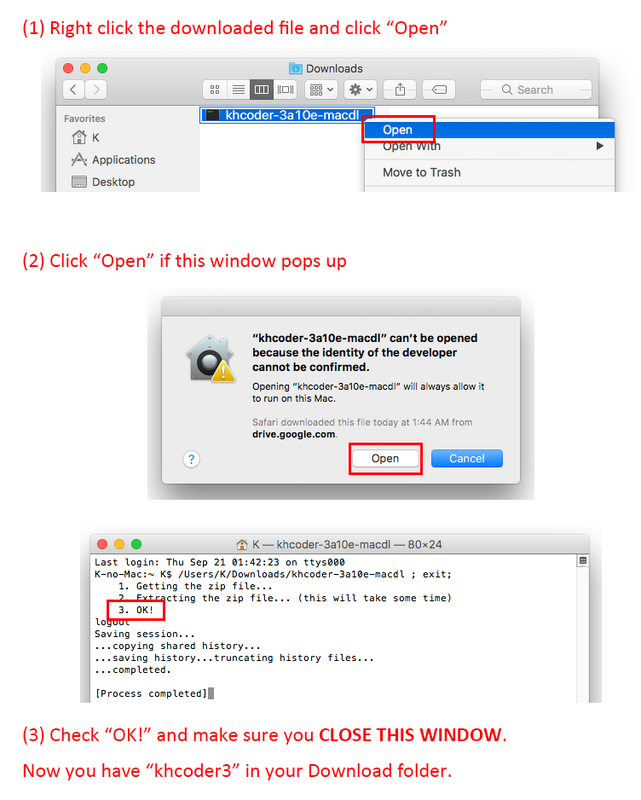 On Mac, you can run KH Coder with its source code. Though it's free of charges, you have to go through the highly complicated setup process and it may take a really long time in this way. So, as a fee-based support service, I provide automatic setup software of KH Coder for $36 USD. 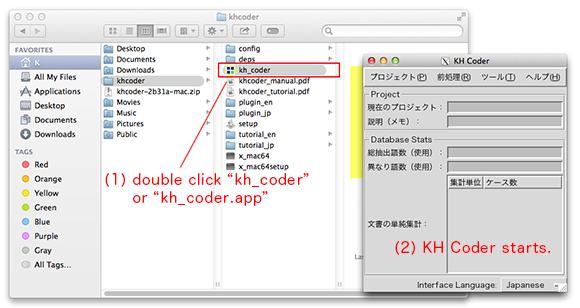 With this software, you can easily start using KH Coder 3 or KH Coder 2 on your Mac. 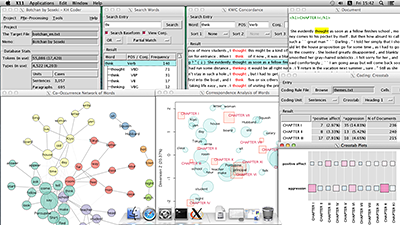 *Though KH Coder itself is free of charges, this setup software is not a part of KH Coder and it is a commercial software. Before buying it, please read following instructions carefully. 2. Please download and install Xquartz if you don't have it yet. 3. Please download and install JAVA (Java SE 8 / JDK) for Mac if you don't have it yet. 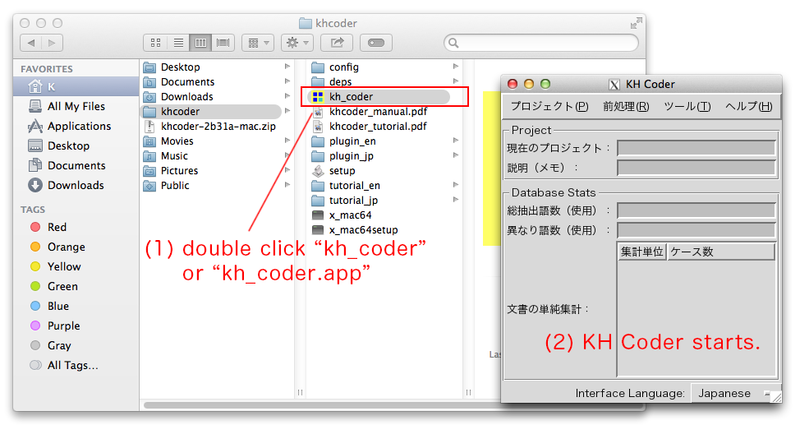 If you want to move KH Coder somewhere other than "Download", move the whole "khcoder3" folder. Do not move "kh_coder" file only. 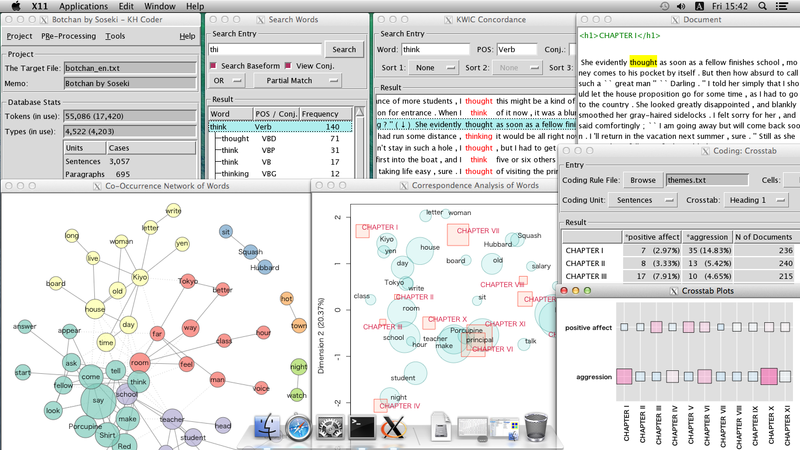 From here, please follow the instractions in the Tutorial. You have to read and accept the license below before buying it. This automatic setup software is not a free software. And you cannot redistribute this software. You have to buy as many copies of this software as the number of computers you would like to use it on. This software is provided "as is" without warranty in any kind. The provider of this software is not liable to you for damages including any general, special, incidental or consequential damages arising out of the use or inability to use this software.